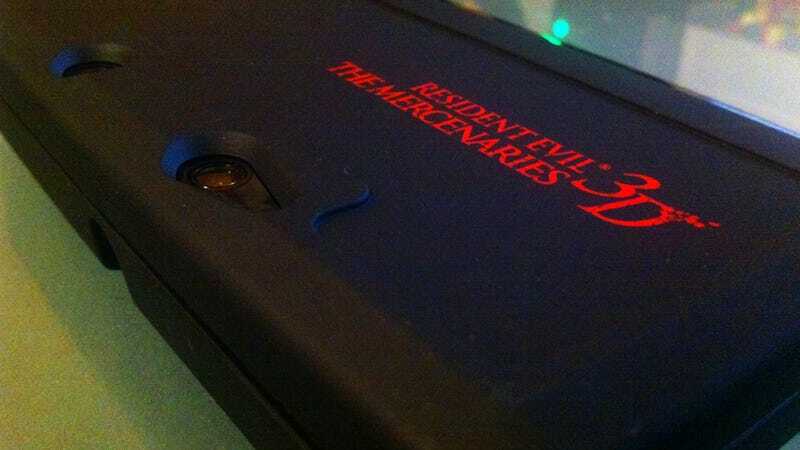 This custom 3DS case came to Kotaku from Capcom along with an embargoed copy of Resident Evil: The Mercenaries 3D. While I've seen a few 3DS cases in stores, this is the first fitted case I've gotten my hands on and it's pretty rad. In particular, I'm a fan of how subtle it is. There's a single logo on the back and the title on the front, but the rest is all form-fitting rubber molding. It might be hard to see in the photos, but it's also got a bit of a recessed portion on the front and raised protection around the cameras. All in all a nice little case.